Tesla goes to China. Elon Musk announced the kick off of construction on Tesla’s $2 billion Shanghai Gigafactory, which will begin manufacturing the Model 3 by the end of the year. Speaking of Mr. Musk, Japanese billionaire Yusaku Maezawa, who will be traveling around the Moon with Elon in 2023, can now add "most shared tweet of all time" to his impressive resume. After promising to dole out nearly $1 million to 100 people who follow his account and retweet his post, the tweet currently has 5.4 million retweets and 1.3 million likes. Who says you can’t buy love? The big winner at last night’s Golden Globes? Fiji water. 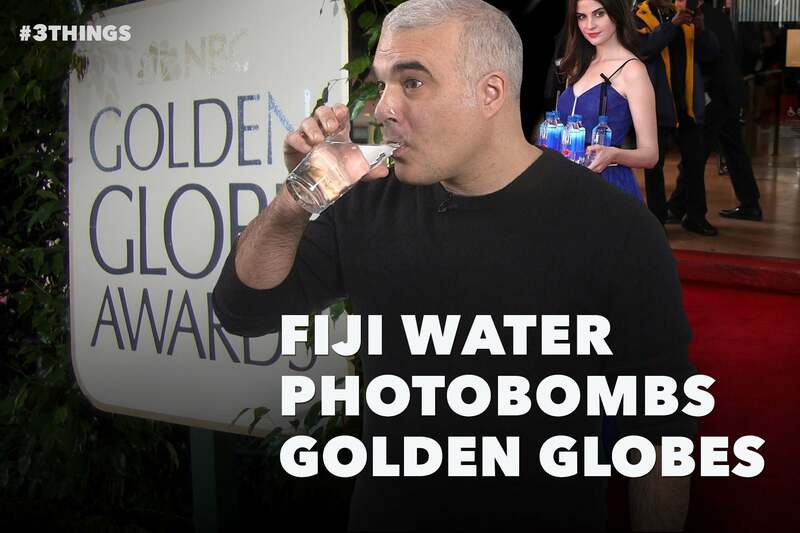 During the red carpet portion of the show, a woman identified as model Kelleth Cuthbert and dubbed "The Fiji Water Girl" handed out the bottled beverage to thirsty celebs and photobombed her way to stardom. Hollywood, I think your search for an Oscar host is over.